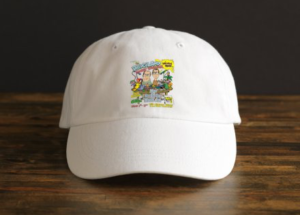 Celebrate the world of DredgeLand LIVE today with these special and unique DredgeLand LIVE branded gifts for all of the family. 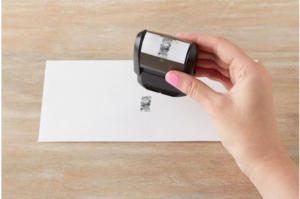 Have you ever felt the need to stamp something, but hadn’t had the ability to do so? Well, fear no more! Simply use the Official Dredgeland LIVE Stamp! Designed in principle and applied with logic, the Official DredgeLand LIVE Stamp brightens up walls, small children’s faces and all other surfaces. Have you ever looked up at the sun and thought “Oh my eyes!” Then fear no more with the Official DredgeLand LIVE Branded Sun Cap. Made in technicolour and whittled from the original packaging, this handy one size fits none headgear is all the rage in Hove and surrounding areas (such as Bridlington UK). Are you a loyal follower of DredgeLand? Well, fear no more! 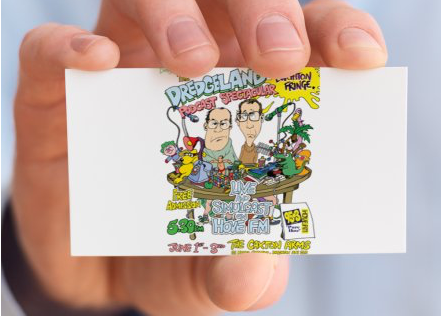 Because just for you we have the Official DredgeLand LIVE Loyalty Card. Not accepted abroad or in stores worldwide, the DredgeLand LIVE Loyalty Card is the toast of the town! Available in packets of 1604. Share with your closest friends today! (Hand not included). Does all of your post go missing? Ours does on a regular basis. Who’s got it? In the meantime, fear no more! Why not safely secure your post with the Official DredgeLand LIVE envelope fastener. 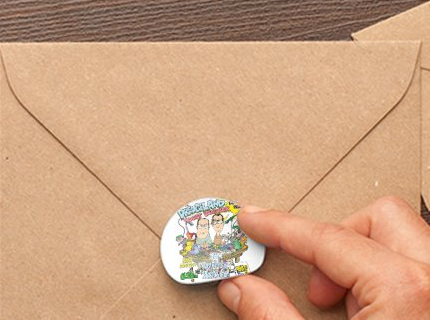 This not only secures your envelopes, but in fact acts a supplementarity sticker to place on the outside of any stationary in the local area. Buy today and receive a free DredgeLand LIVE envelope (No image available).